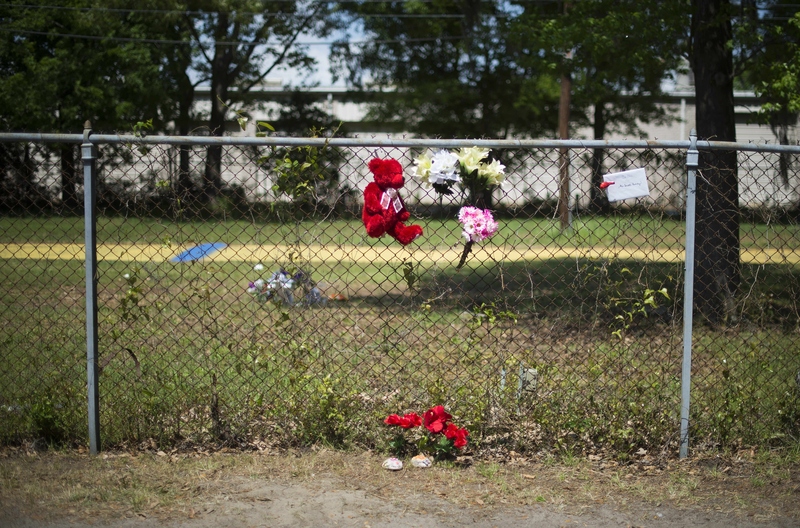 On Monday, the South Carolina's prosecutors' office announced that Michael Slager has been indicted by a grand jury for the shooting death of Walter Scott, an unarmed black man who died in April after being shot by Slager. Disturbing footage of Scott's death emerged shortly thereafter that revealed Scott was running away from Slager when he was repeatedly shot in the back. The shooting was preceded by a scuffle over Slager's Taser and an argument over the taillight of Scott's car. Slager has been in jail since video of the shooting, taken by a nearby eyewitness, emerged in early April. Now, South Carolina prosecutors will be trying Slager for the murder of Scott; Slager had been initially charged with murder back in April. The update came Monday from prosecutor Scarlett Wilson, who said, "The facts that were presented to us by SLED [South Carolina Law Enforcement Division] warranted a grand jury," and went on to explain that that same grand jury had indicted Slager for murder. Slager hasn't entered a plea yet; if he pleads not guilty, the case will go to trial. “I feel sure the people of Charleston County can decide this case," Wilson continued, suggesting that Slager would plead not guilty and the case would indeed go to trial.